***Disclaimer*** Most items and products carried in DamaSexy by SJ Boutique Studio are not designed, created, or branded by DamaSexy by Stephanie Jackson or Tigress Consulting and Publications . 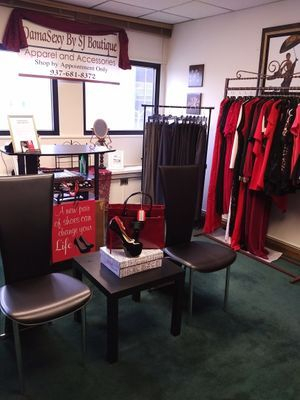 Various Item Logos and brand names that may be seen on various clothing and products on this site or in our boutique studio location are exclusive only to their original designers and creators. DamaSexy by Stephanie Jackson and Tigress Consulting and Publications does not exclusively promote and/or own or claim any rights to any specific name brands and/or logos that may be seen on this site or in our boutique studio OTHER THAN and only products and clothing branded or labeled by DamaSexy by Stephanie Jackson and Tigress Consulting and Publications which are the exclusive rights and copyright of the owner and creator of DameSexy by Stephanie Jackson and Tigress Consulting and Publications.